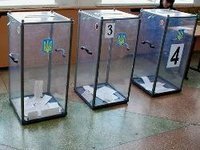 Kyiv, December 16 (Interfax-Ukraine) – The European Network of Election Monitoring Organizations (ENEMO) has noted certain progress in the repeat elections to the Verkhovna Rada of Ukraine in five single-seat constituencies compared with the 2012 regular parliamentary elections. "Generally, ENEMO has noted progress in comparison with the 2012 regular parliamentary elections," head of the mission Dinara Oshurahunova said when presenting the preliminary findings of the observation mission at the December 15 repeat parliamentary election in Ukraine. On election day, 30 ENEMO short-term observers monitored the voting procedures in 160 polling stations, and the ballot box opening and vote counting procedures in 15 polling stations. ENEMO observers registered no violation during the tabulation process, except for some long delays at two polling stations in district No. 223. The observers assessed the transfer of protocols as orderly in most of the observed cases, but the procedures were chaotic and disorganized in constituencies No. 94, No. 132 and No. 223. Because of this, seven of 15 ENEMO teams had restricted access to the handover of precinct election commissions' materials to the district election commission, Long Term Observer Coordinator Elmir Camic said. "ENEMO urges all interested parties who question the validity of the process to refrain from using violence, and instead use the legal means provided in the laws and file complaints to the Central Election Commission and responsible courts," he said. He said ENEMO observers witnessed three cases of the bribery of voters during election canvassing in constituency No. 194.